Most homeowners and designers have definite ideas about what type of floors they want to install and how their want their walls to look. 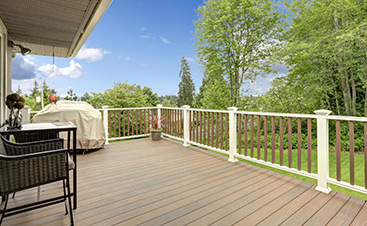 Wood floors are a great way to keep a room and a home looking clean, updated and attractive. Choosing between different types of hardwood flooring trim can often be the most challenging part of home design because you want something that complements the rest of the room and fits well with the entire design scheme. A trim shouldn’t blend in completely with the floors and walls so that you don’t even know it’s there, but it also shouldn’t be so outrageous that your guests can’t stop staring at it. Painting the wood trim white can give your room and floors a great contrast, especially if your walls have color on them. Imagine crisp white trim against a dark wood floor and warm walls painted grey or burgundy. The white detail can really pop and draw the eye. This is also a good choice if you like geometric styles, where shapes and contours are easy to spot and appreciate. Dust and dirt will show up on your white trim immediately, so only choose this option if you can commit to keeping up with your dusting and polishing. Keeping your hardwood flooring trim the same color as your walls can provide a sleek, minimalist look that might appeal to anyone who prefers simplicity. 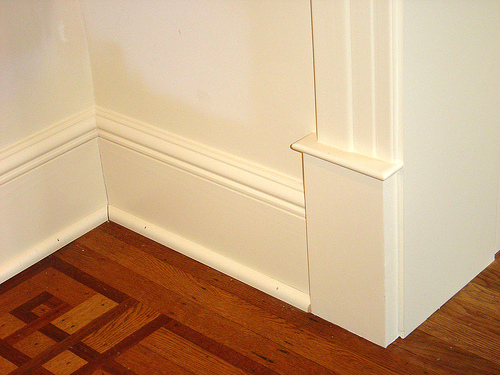 Instead of giving you the pop that the white trim provides, you will have longer lines and less of a visual break between the walls and the floors. This strategy will work best with walls that are white and maintain a white trim. 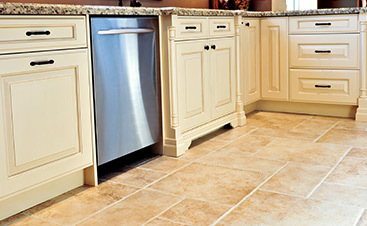 Many different types of hardwood flooring trim can also be painted neutral colors to match a beige, tan or cream wall. The natural wood elements in hardwood floors are special, and you want to make sure the look and functionality of those surfaces are protected. It can be tempting to over-think your flooring trim, especially if you are remodeling or building a house from the ground up. Use swatches of colors and woods to help with your decision. Good hardwood floors are going to look great with any type of trim. Choosing the right one will really depend on your personal taste, and the style you are looking to create in the house or room you are putting together. 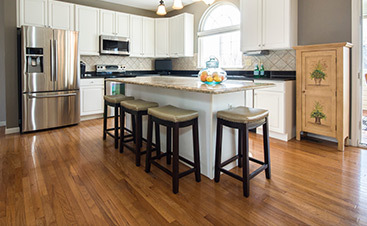 Need help with a hardwood flooring project? Contact us today.